The Brun del Re Premium Churchill has a smooth wrapper with a golden twist. Nicely rolled although construction can vary from cigar to cigar. As its brother in the Colonial line, it has a distinct marker of Costa Rican style cigars, but is simultaniously a totally different story. Within its medium body, you can find spice and cedar wrapped in creamy and sweet tobacco. a Nicely balanced smoke with some complexity. The finish could be longer. All in all, The Premium Churchill is an easy going cigar, which can easily be picked by a beginner and a veteran alike. 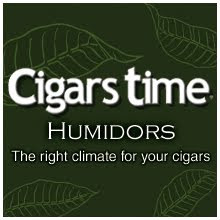 Although the cigar does not offer any mind blowingly deep experience, it is a great cigar to enjoy at any time of day. Easy to approach, easy to enjoy and easy to like. This Costa Rican Churchill has a nice oily wrapper with a mild red hue. It is pleasant to the nose but seems to be somewhat inconcistently rolled. You can find looser and tighter spots on the cigar just by feeling it with your fingers. The flavor starts with a selection of earthy tones followed by some bitterness on the edges. After the uneven start, the cigar developes to represent toasty and roasted flavors and evens down from the heavy earthiness. 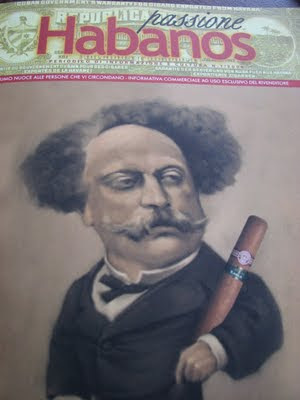 From there on, the cigar does not develop much along the way, but keeps the nice powerful taste to the end. Although the balance is little off, leaning towards powerful tobacco taste on expense of complexity, the cigar has a solid white ash, an even enough burn and a good draw. Over all a decent cigar with a Costa Rican signature. The blend would probably work better in a smaller size, as it could turn it into a nice occasional relaxation to be enjoyed instead of the monster chuchrill making it a little difficult to approach. Cigars have a long and winding history - the traditions of cigar manufacturing go back for a few hundred years. 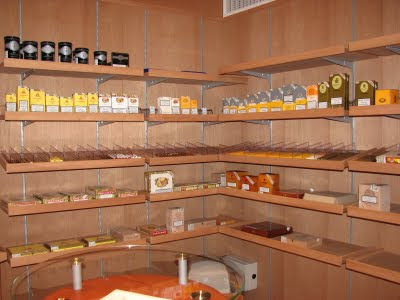 During that time, cigars and tobacco have travelled all over the world and back again, and many countries and cities in Europe have developed into hot spots of cigar culture and life style. 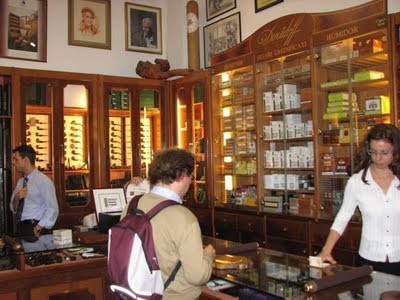 The city of Milan, in Northern Italy, is no doubt to be concerned as one of the top cigar cities in Europe. 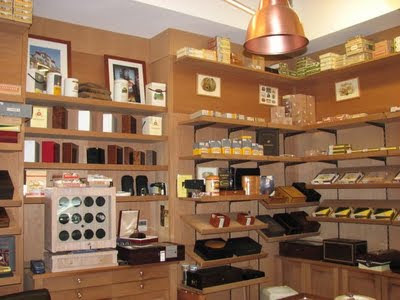 There are several outstanding cigar stores as well as private lounges to treat even the most discriminating aficionado. This fall, I was privileged to spend a couple of days in sunny Milan, as a guest of Mr. Alberto de Munari, owner and manager of DeArt, a custom furniture and interiors company and its side branch Cigars Time humidors. It is not very farfetched to describe cigar manufacturing and smoking as a form of art. The passion and dedication which goes into making and enjoying quality cigars is overwhelming. Nowhere else have I experienced such an atmosphere as amongst fellow aficionados and cigar enthusiasts. This passion and dedication is also present in everything Cigars Time humidors have to offer. 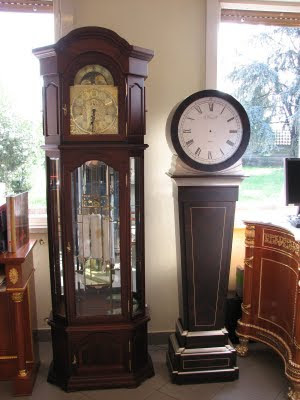 The Company, DeArt, was established in over 40 years ago by grandfather of Alberto, producing clocks and barometers. Even then, it was clear that everything the company was to produce, would have a clear mark of quality and prestige. 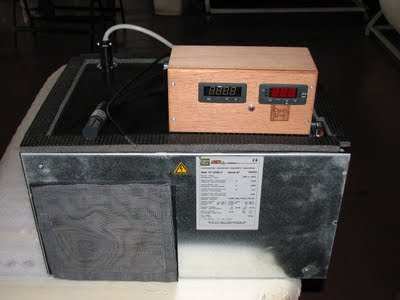 From there on, the company has developed into a highly recognized manufacturer of i.e. 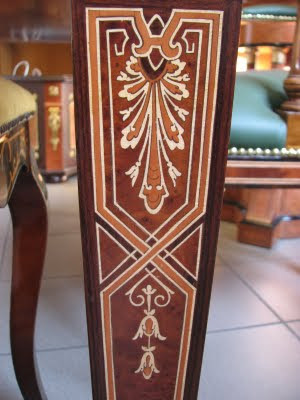 custom furniture, interior designs, clocks and luxury yacht furnishing – as well as a producer of state of the art cigar humidors. Amongst the customers of DeArt, are for example royalty and statesmen from the United Arab Emirates, Qatar, Russia, USA and Kazakhstan. Not forgetting cigar collectors and retailers from all over the world. What makes Cigars Time and their humidors extraordinary, is the skill and dedication, in which the traditional art and principals of storing cigars is intertwined with modern technology and uncompromised aim for perfection. 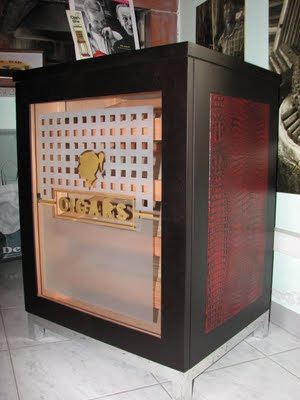 The Cigars Time products range from medium capacity cigar cabinets to huge walk-in humidors and all the way to complete cigar shop solutions - All hand made in the company’s factory near Milan. One gain on the company’s long list of gains to the customer is also its impeccable and flexible servicing. “It is after all a matter of protecting our customers property”, said Alberto. Easy access to replacement parts and quick deliveries ensure that the cigars do not take the hit if a humidification system breaks down in customer’s walk-in. And we might are talking big money there. As I said, on top of respecting traditions, Cigars Time is all about high tech and harnessing it to create additional value to customers. 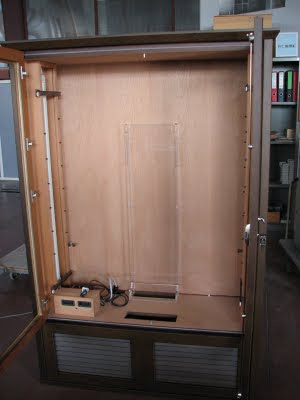 You can choose from a wide range of accessories and environmental controls to fit your cabinet. The offerings are static humidification, electronic humidity control and total thermo-electric environment system called “Total Clima”. “We always try to find new ways to implement new technology into our humidors”, Alberto answered, as I was admiring a limited edition Afrika cabinet with Total Clima, LED lights, and gorgeous design. In the future, there are plans to introduce i.e UV protected glass and mini-sized cooling systems, maybe based on magnetic energy. Despite all this hype on high tech it is a matter of honor to Alberto to keep his manufacturing on a hand-made boutique level, not aiming for large scale to ensure the quality of the products and to emphasize on the total service for the customer. 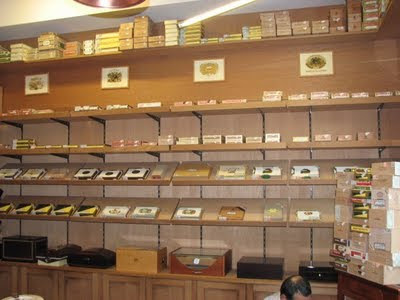 Cigars Time’s products can be found all over Italy and the World. 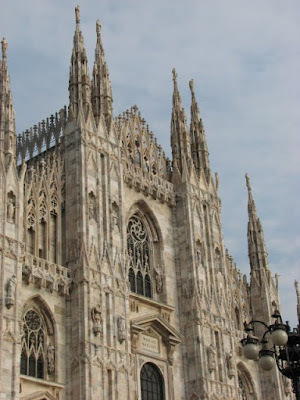 As a part of my brief visit to Milan, I had the opportunity to see a few spots with their doings involved. On the first day I got to visit Lugano, Switzerland and one of their sites of total cigar shop design equipped with a walk-in with environment control. I also got to have a great lunch and a few great smokes at the La Casa de Habanos in Milan – also with Cigars Time’s walk in solution. 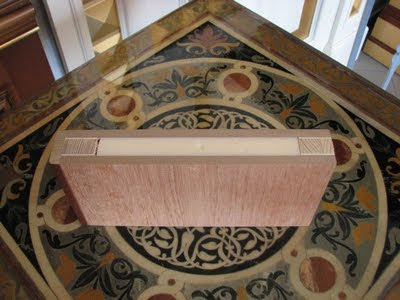 Not forgetting the several cabinets in several tabaccherias scattered around Milan. On a more leisurely side of the trip, I got to enjoy Alberto’s overwhelming hospitality and to witness the scenery and great food of Lombardia. Cigars Time is really all about the customers and their love of cigars - Only the best will do. And with tradition, skill and fearless exploitation of modern technology, Cigars Time succeeds to offer only the best. 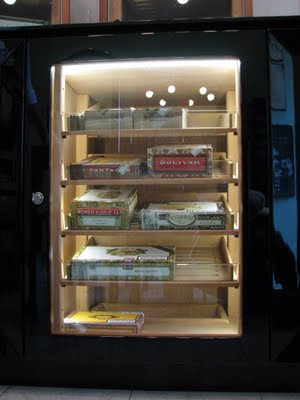 No wonder Cigars Time is called the Ferrari of humidors in Italy. Visit http://www.deart.com/ or http://www.cigarstime.com/ for more information. Want to see your cigar reviewed or advertised here?